Media is about reach and frequency. You want to meet as many people as possible as often as possible, and the only constraint is your budget. That's the thing. There's a puritanical zeal about email marketers which doesn't exist anywhere else. It's the only channel I know where experts advocate doing less. And all CMOs care about the brand. So the perception is that email's destroying their brand, but TV commercials are not in some weird way. Facebook isn't either. I don't know why. What you have to do is track what I call open reach, and open reach is your cumulative unique opens, or total opens. I'm now going to invoke my very, very, very important rider. I call it #DBS, which means #DoBeSmart. The emails that they don't open are the ones that say lots of fluffy news about my company. Yes, and here's another thing is if you increase your frequency, spontaneous recall of your brand goes up and net promoter score goes up partly because you're losing the haters, right? What you have to do is track what I call open reach, and open reach is your email cumulative unique opens or total opens. Doug: Well, welcome back, listeners, to another episode of Real Marketing Real Fast. Today, we're going to take a deep dive into email. I've got Dela Quist, who is an international email expert and the CEO of Alchemy Worx and Touchstone as my guest. Now, I first got to know Dela through an email group that I'm part of called Only Email. It's a private group that you can join and have access to some of the smartest, brightest people in the email marketing world. Our conversation today, I think, really got me thinking, and had me thinking for a long time. 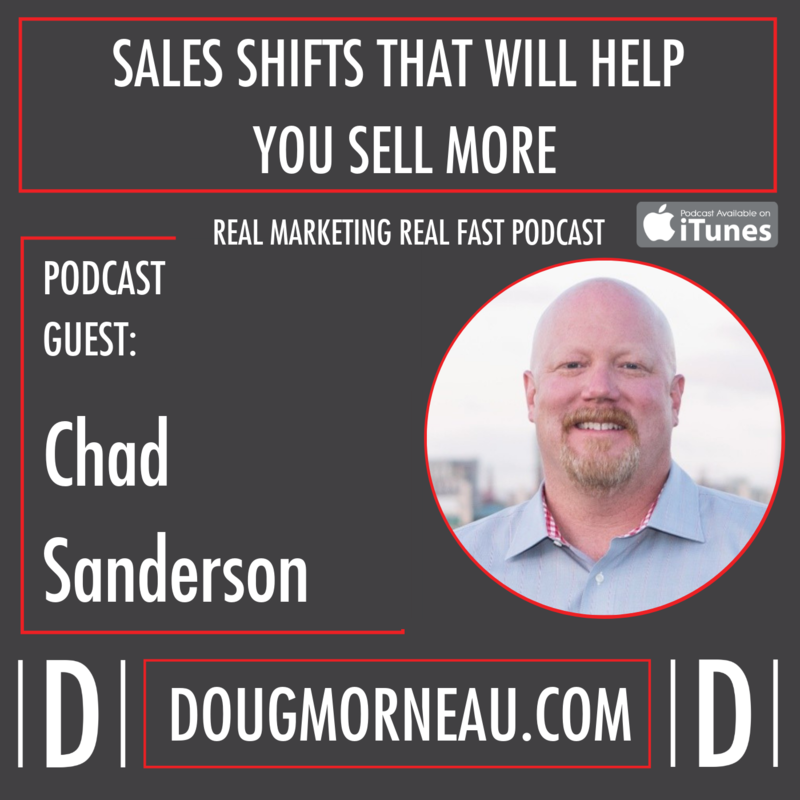 Dela shared some very different points of view on how we can leverage our existing email lists that our businesses have to improve our results and move the sales dial, so I think this is going to be an episode that you're going to have to listen to probably a couple of times because there's a lot of information and make sure you check out the show notes because, again, there's a lot of information. Doug Morneau: He did give us some good takeaways, so I want to formally just introduce Dela and a little bit more about him. He's the founder and CEO of a company called Alchemy Worx and Touchstone, and he estimates that he's clocked about 20,000 hours thinking of email. Obviously, there's no way we're going to cover all of his knowledge in this short podcast. In 2015, he founded Touchstone, which is an intelligent suite of software that is based primarily on unified proprietary infrastructure and it records and analyzes all of your previous campaign data histories. The product category, it falls into three main categories: reporting and predictive analysis, machine learning, and it is compliant with GDPR and CASL and other future legislation requirements that require transparency. 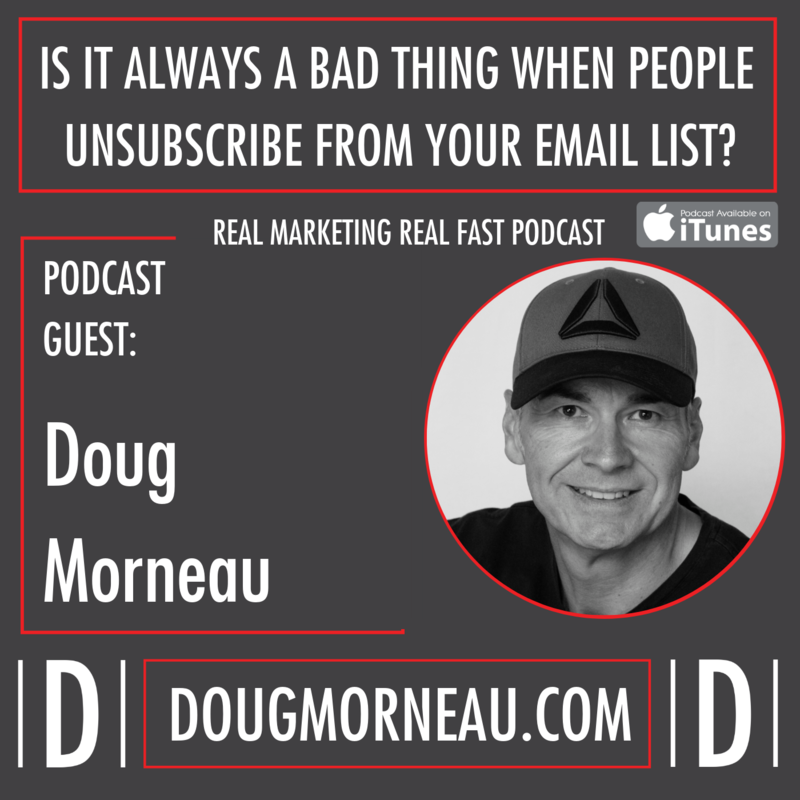 Doug: Dela has also published an ebook called Fear and Loathing in Email Marketing, I'll make sure that the link is in the show notes, and a series of essays that have characterized [inaudible 00:02:02] alive and unconventional take on email. He's a popular international speaker on all matters email, and his thought-provoking views and lively style, which I'm sure you'll hear shortly here, regularly receive rave reviews. Dela has served many years as a member of the UK's DMA email marketing council, and he's also served on the executive management of the IAB and a steering committee of the future of European advertising stakeholders. With that great introduction of an awesome guest, I want you to sit back, tune in, listen and learn to Dela Quist, so welcome to the Real Marketing Podcast today, Dela. Well, Dela, I'm super excited to have you on the podcast today. I just want to say thanks so much for coming on and looking forward to you sharing your knowledge with our listeners. Dela Quist: It's my pleasure. I'm glad to be here and thanks for asking me. Doug: One of the things that got me super excited about looking at a lot of the content that you write and your bio and your background is that you are seen as a bit of a contrarian in the email space, so do you want to share with our listeners how that came about? Dela Quist: Yeah. Contrarian. It's one of those words that can be taken more than one way. I often take the opposite view, but I don't always take the opposite view. I think I'm a contrarian when it comes to conventional wisdom. The way my mind works is that if everybody is saying something, then my mind goes, “That can't be right because nothing in the world is black and white. It's always gray.” The other thing is opportunity tends to exist where everyone else is not. Dela Quist: And that's kind of where the contrarian thing came from. With regard to email, I moved into email … I'll give you a quick run through my background. I started in media and advertising with magazines first, IDG, magazines like Computer World and PC Week with titles that I was working on selling advertising to brands. And they were all controlled circulation titles, and it made me immediately understand that a magazine was only as good as the audience that read it. The better the quality of the audience, the better the response that the magazine was likely to generate. The pages in the content were the interface between the advertiser and the subscriber base. Doug: Sure, that makes sense. Dela Quist: Back when the internet first came, I was like, “Oh my god. Here is an interface that's interactive.” I couldn't wait to move into digital, so I was one of the first people from traditional media to move across and I started working with Xcite in '97. While I was there, I did a project on … They were one of the first to put out a free email product, so Hotmail had just launched. They looked at it and thought, “We need to do something like that,” and I was involved in that project. I transferred that media knowledge and I thought, “Oh, this is even better because the advertiser doesn't have to pay to reach these people at all.” Email marketing is absolutely cool, and that's why I went there. Dela Quist: But I also knew quite a lot about direct marketing as well, and one of the things that I did, like most people and most people in email are from a direct marketing background. There are very few from the media background, and that's where the conflict arises. So media's about reach and frequency. You want to meet as many people as possible as often as possible, and the only constraint is your budget. Dela Quist: Direct marketing is slightly different. The cost is exponentially higher. The unit cost of reaching individual numbers in tens of cents if not dollars. Tens of dollars, even. And so direct marketers are obsessed with wastage, so targeting didn't come from not wanting to annoy people. Targeting didn't come from not wanting to be spammy, although they had their own word, junk mail, which drove them nuts, and I supposed that did have an impact. But that was the real driver, and they all moved into email. So they were taking this idea that has its roots in cost and extrapolating it to something where the unit cost is nearly zero, even back in the day. Dela Quist: Our clients just wouldn't listen to me, and that was the genesis. I went, “I am going to prove these idiots wrong.” Sorry, “these wonderful clients wrong.” And so the first time I tried to do that was with a very big media client of mine, and they had a list of about two or three million subscribers and they were sending out a weekly email. Back in the day, we're talking about 2002, a weekly email was high volume. Doug: Yeah. Yeah, true. Yeah. Dela Quist: We're not in a place where very few people send less than two or three a week. Many send daily, one form or another, and so I wanted to show them. On my dollar, I separated the list into … Well, I created three lists. The first was everyone who hadn't opened an email for a year, and it was about 50% of the list, 45% of the list, let's say. The percentage of people who had opened within the year, and then I had an empty bucket. What I did was every time someone opened for the first time, I put them into the active, and every time someone went inactive, as in they went over the year's threshold from the active, I put them in the empty bucket. Does that make sense? Doug: Yeah. Makes sense. Yeah. Dela Quist: So ABC. Basically, I was going to show them what a bad idea it was that these guys were never going to open, and do you know, I ran that test for four years? And for almost the entire time of that four years, we were getting a constant open rate of about 2 or 3%. Now, that's incremental, okay? Doug: Sure it is, yeah. That's pretty … Yeah. Dela Quist: And I'm looking at it and I'm thinking, “This is crazy. I can't tell this guy to take 2 or 3% of incremental opens off their list just because I think that they're unengaged and it was showing me they were engaged,” and we kept doing that. After four years, I think the list had dwindled to I don't know, probably about 20%, 25% of the total list. So it had halved in four years and there were still people opening. But what I saw that over time, the open to unsubscribe rate tended towards one. Open, unsubscribe. Open, unsubscribe. That's when you know a list is truly dead, so after about four years, the only people who opened unsubscribed. Dela Quist: But it took a very … Ah, it's not that bad because of the numbers manageable. Right? Dela Quist: It's 2 or 3% of 25% of your list at any given time. It's quite manageable, and if you know what you're doing from a deliverability perspective, that's not something that would concern you. As I say, we're an industry that talks about giving consumers choice to do what they want, except keep not opening an email. We can't give them that choice, can we? Doug: Nope. That's on them. Dela Quist: And email's the only channel you can actually unsubscribe from. You can't opt out of TV. You can't opt out of magazines and your newspaper. You can't read The New York Times online without saying, “Yes, I accept all these crappy ads.” No one complains about that. Doug: No, and it's funny in email how you're right. People complain about ads and sponsored emails and advertising in the emails, but all the other channels, like you said, even social obviously are full of ads. Dela Quist: It's everywhere, and that's the thing. There's a puritanical zeal about email marketers which doesn't exist anywhere else. Everyone else says, “Yeah, yeah. We're marketers. This is our job. It's our job to sell stuff, and we're going to do that.” But email marketers use words … It's the only channel I know where experts advocate doing less. Can you imagine going to a TV conference and they say, “Hey, guys, You really, really should be putting fewer ads on TV”? Doug: Well, I think maybe the issue, at least what I'm seeing, lots of it is around content and, as you said, and is misinformation. I'd seen an article you'd written about why CMOs are underestimating emails. So for our audience, where do you think the low-hanging fruit is? Why are people missing the boat and the opportunity to leverage this media channel to grow their business? Dela Quist: In a word, open rates. Open rates are something that only … Actually, I'll go back a step. The first thing is that they perceive email to be old fashioned and intrusive, and they say what everyone else says. If you ask anyone, “Do you want more commercials?” They go, “No.” So no one asks that question, but email marketing constantly asks their readers, “Do you want more email?” And of course, the answer is “no.” Right? Dela Quist: No. Absolutely. The only way to make them sort of, kind of say yes is they say, “Would you like to see more relevant ads?” And of course, the answer is yes. Who's going to say no to that? Dela Quist: The question is phrased in a really stupid way. So because there is so much information out there about … Oh, and first of all, the other thing is everybody, everybody gets email in their inbox. It's the only universal application, so everyone has a view about it in a way that maybe TV ads and stuff you don't have. So CMOs go, “Oh yeah, we don't want to do this yucky email stuff.” That's the first thing. It's at the back of their mind. If you go to a dinner party and you say, “Oh yeah, we're the guys with the Geico commercials,” they'd go, “Oh wow, that's so cool. That must be really cool. TV. That's exciting.” Right? Dela Quist: If you go, “We're the guys that send you that Geico inbox,” they'd go, “Oh my god, my inbox is full of that crap. I don't know why you send it. Blah, blah, blah.” So you're immediately on the back step as a CMO and you care about brand, okay? Doug: Sure. Yeah. That's funny. Doug: Yeah, because you've increased your open rates, but as you said, you're not in front of your potential customer, your audience. Dela Quist: Yes, you've reduced your total opens. So you've taken away the people who would've opened for the first time in a year but haven't for a year. That's 2 to 3% every time you send an email, and the second part of it is, by reducing your frequency, you're reducing the opportunities to see and opportunities to engage. Dela Quist: Well, treating your advertisers with respect, what you have to do is track what I call open reach, and open reach is your cumulative unique opens or total opens. Right? Dela Quist: So if you send one email a month, you will get an open rate of 15 to 20%. Okay, I'm being reasonably generous. If you send one a week, that's going to drop to about 10, maybe a bit below. Yeah, so 8 to 12 to 10. Ergo, I'm sending too many emails. Right? Dela Quist: If you count total opens, 20% of a hundred is 80, and 10% of a hundred times four is more, so they're getting 400 opens when they used to get 200. Sorry, they're getting 40 opens when they used to get 20, and that's the problem. So if you switch away from open rates to total opens, it gives you a completely different perspective of what you should be doing. Another weird thing is that human beings on average will open between about one in six, between one in four and one in seven emails that they receive, no matter how many you send. Doug: That's a good piece of knowledge. Dela Quist: Right? So if you send one a month, you're going to get one open a year, maybe two. If you send one a week, you're going to get six or seven opens. If you send one a day, you're getting 30, 40 opens a year. So my question is, who's more engaged: someone who opens one email a year or someone who opens 30 emails a year? 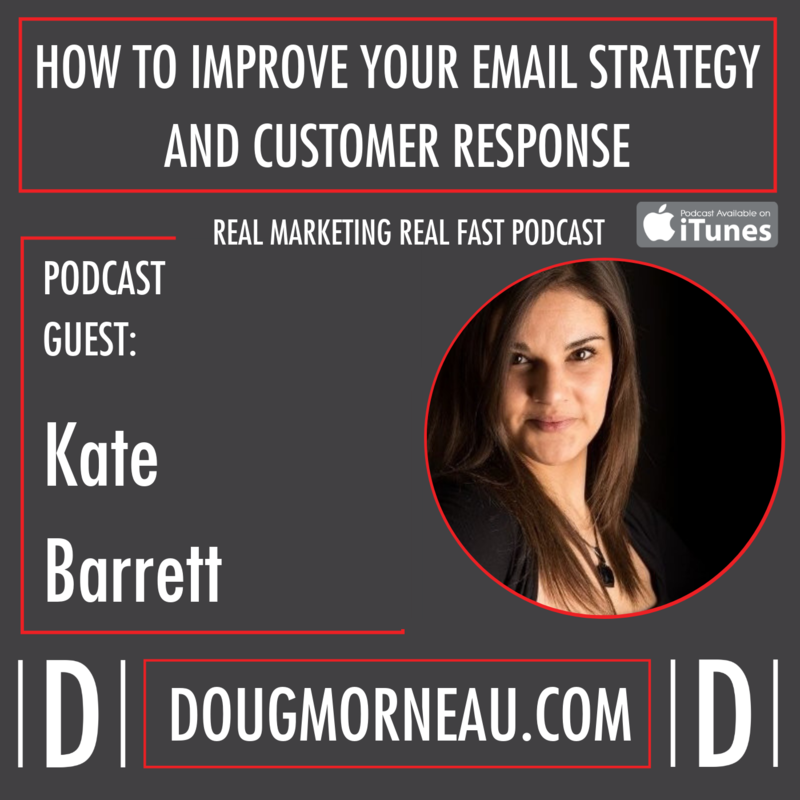 Doug: So would it be fair to summarize, for our listeners, that for all of you that have an email list, increase your frequency if you want to increase your engagement and your business? Dela Quist: That's correct, and I'm now going to invoke my very, very, very important rider. I call it #DBS, which I now say means #DoBeSmart. I used to say #DontBeStupid. Don't be stupid got me “no” fans. Do be smart gets me fans, so what does that mean? If I say it's safe to leave a building, don't tell me, “Not if you jump out of the 10th-floor window.” That's just stupid, okay? Or, “Please take care to leave the front door and exit in an orderly fashion. Do be smart.” That's the difference. If I say send more email, don't just go and find the worst thing you could possibly do and throw it at your audience and jump from one a month reasonably well-crafted emails to one a day pieces of crap. Don't do that because that isn't smart. Dela Quist: It's a bit like Geico. Geico is ubiquitous on television, but they've had to be really smart about it. They're not using the same commercial. They've had to develop different personas. They have to pay a lot of money to actors and scriptwriters and copywriters and come up with funny scenarios and scripts, and yet if I say Geico, everyone knows it's 15% in 15 minutes or less. Everybody knows that, and that's called marketing and advertising. When I say send more email, do be smart. Let me give you an example of being smart. Dela Quist: If you're sending one email a month and it's got four pieces of content in it, break it down into four individual pieces of content and suddenly you've got one email a week. You didn't kill anyone. You're adding value and you didn't break yourself in terms of resource. If you want to go to two a week or three a week, then you have to work harder on your office and your copy and your subject line and your creative, and all of that kind of stuff. That's what you have to do in order to make sure that you're not doing them a disservice, you're adding value. So long as you add value, people will tolerate almost unlimited frequency. Doug: Well, that was my next question. My question was going to be if you're sending a couple of emails a week, so it's eight a month, how many should be value-based? And I say adding value to your life, so when after you open it, you feel better having opened it and read it than, “Oh no, another adjust of someone saying, ‘Hey, buy my crap. '” So versus the ask. Dela Quist: First of all, what could Coke tell you that adds value to your life? What could any brand tell you that adds value to your life? And if it does, you need to get a life, that's my view, but let me take a step back on that. Doug: Yeah, just be honest. Just be really blunt about this. Dela Quist: Yeah. Oh, you know what? I really want people to think of my brand in this meaningful way. Nonsense. You sell shoes. What is wrong with you? Right? But let's take a step back from that and let's start being helpful. Doug: Now I know why you're not popular at parties, but that's okay. Dela Quist: Yes. Here's a paradox. If you, and by the way, there are thousands of surveys. Adobe has a big one out there. They ask consumers what they want in email and all of that sort of stuff. I can point you to hundreds of them. There's lots of “what consumers think about emails” survey. And you ask the question this way. If you say to them, “What do you want?” You give a list of things that they want to see more of, informative things that help me understand the product better. Oh yeah. Yeah, yeah. I want that. You go through a list of things, and they're framed in such a way that makes the marketer feel good, so product information, letting me know when things are in store. All of those sorts of things. Those are kind of perceptually value-add stuff. Dela Quist: That tells you. You probably want to put stuff in like that. The other thing is that the question implies that everyone opens every email so that they know what you're doing. Doug: Yeah. That's right, and you're already saying one in six. Dela Quist: They'll open them up, and one is six is good. Right? Dela Quist: One in four is awesome. One in 10 is okay. That's a 10% open rate. So the point about it is that they won't open every email, so they don't know what you did. The funny is that the email that they open is probably the one that has the deal in the subject line. The emails that they don't open are the ones that say lots of fluffy news about my company. No, they don't want to do that. There are exceptions. I'll take Patagonia, for example. I mean, the folks who are Patagonia's customer base, they're outdoorsy folks who would eat that stuff up all day long. Do you see what I mean? It's a lifestyle thing. Dela Quist: So if you say, “Find out about this, that and the other on the Himalayas,” or the Himalayas as you would say it, they want to eat that up. They want to see that. And they go, “Oh yeah, well, look at Patagonia. They're able to do that.” But if you sell insurance, you cannot do that. Doug: No, you can't. Yeah, that's right. Yeah. Dela Quist: No one gives a damn. In actual fact, with insurance, we've had insurance companies that we worked with for like a decade. I can tell you now that the timing they open the email is the timing of when they need insurance. It's almost impossible to get an insurance client to open an email about an insurance policy that's 10 months away from expiring. You can make them buy another policy by saying, “Hey, we know you've got home. Do you want a pet?” Right? Dela Quist: But it's really hard to get them involved in things that insurance companies shouldn't be involved with, like saving the world. Doug: So let's just change gears for a minute. Do you want to share a specific example of a client where you worked them through this process and took what they were doing? Now, you can share their name and give them a shout out or not, entirely up to you, but just for our listeners, walk us through an example of how you took this approach and transformed somebody's marketing to a happy ending. Dela Quist: Well, a good example, it's a case study on a website, it's [Aviva 00:22:32] Insurance, and insurance is a good one because it's very hard for them to come up with meaningful content. Patagonia, they are not. It's a have to buy rather than want to buy. No one wants to buy insurance. They were extremely mindful of their audience and not upsetting them, etc. I can't give you specific numbers, but they had several million people that they had email address of and their policy renewal date that they weren't mailing because they weren't in life customers. Dela Quist: The reason was, “They're not our customers. They're not in life. Etc., etc.” They had permission to mail them. They had everything. It was completely above board, but they just weren't mailing them because they felt that wasn't a good idea. The other thing they had was they had a maximum touch threshold for all channels that would've been silly for email on its own, let alone all channels. So they didn't want to waste touches. If they sent eight emails, that meant they couldn't make a call to the person or they couldn't send them a letter in the mail. That was kind of the rule at the time. Dela Quist: So we got them to separate email touches from all the rest of the touches and just allocate a certain number to email that allowed them to email those folks regularly. I said, “Look. Let's do a trial because we don't want to go crazy by just taking several million people and mailing them when they haven't got anything for a while and just mailing them weekly.” We don't want to do that. By the way, what we recommended they did was the newsletter that they sent to in life customers, they just extend it to prospects, or prospects and lapsed customers. That's basically what it was. So I said, “Let's take,” because I really wanted to learn from this. So I said, “Let's take 12 parts,” or 12 … The words, I've gone blank. Dela Quist: 12 segments. 12 samples right from the list, one for every month. So 12 months out, 11 months out, 10 months out, da, da, da, just lapsed. We will monitor those for a whole year and we will just drip them onto the weekly email that you send to your customers. Their key KPI was quotes. Yeah, online quotes filled out. Dela Quist: They stopped the test after one month and rolled it out to the entire base within one month because they just blew the roof off with the number of quotes that had been taken. Doug: Wow, so this is a list like you said, they had permission, hadn't mailed because they were no longer [crosstalk 00:25:08]. Dela Quist: Yes. They had set up rules internally-based that were not based on any research, no testing. They just decided these folks didn't want to hear from them and they just didn't mail them. There was no reason for them not to do that legally or anything. You could say morally they shouldn't do that, but those folks were still seeing their ads on TV, so I don't get that. Doug: Well, and coming back to your point is that email is one of the channels that you can opt out to not receive advertising, which we can't do on TV, radio, or social. Dela Quist: No. That's right. You can't even stop Zuckerberg following you when you log out. Doug: Yeah. That's a whole different topic [inaudible 00:25:49]. Let's not go there. Let's not go there. Dela Quist: But you can. That's what I like about email is actually … And by the way, because of that, I love unsubscribes. Doug: Makes sense. I mean, I don't want people on the list that don't want the content. If you don't like the content, just do me a favor and unsubscribe versus having it go skip the inbox and go into the junk folder. Just get off the list so it'll improve my sender reputation and deliverability. Dela Quist: Yes, and here's another thing is if you increase your frequency, spontaneous recall of your brand goes up and net promoter score goes up partly because you're losing the haters, right? Dela Quist; And partly because you're giving a brand impression more frequently. Doug: Well, and when you said that earlier, it made me think of, and I think this might be a trigger topic, but Google ads. If you're running the ad, you pay when people click. But to your point, people still see the ad, still get the brand impression whether or not they click. Dela Quist: And that's what Google would like you to think as well. They say, “I know you're paying me 20 bucks a click, but you're also getting all these brand impressions. They want you to think that, but in email, you're getting those for free. All those additional brand impressions are as near as dammit free. It's a hundredth of a tenth of a cent. That's a thousandth of a cent. It's a ridiculously low number. Dela Quist; Hold on a moment. You've just described #DBS. Right? Doug: Yeah, that's right. Don't be stupid. Dela Quist: No, no, no. I don't see that. In fact, I see the opposite. Every major brand that I see is under-mailing their list. Doug: Well, I've seen the other side where I've got clients that want to go completely the other way without producing good content. Dela Quist: I guess it's the client base that I have. Right? Dela Quist: The client base that we have are people who are protective of their brand and everything else, and so I kind of have the opposite problem. The other thing is that rather than trying to stop those guys sending as much email as they are currently doing, and by the way, I would argue you were looking at metrics like open rates rather than total opens. If you have been looking at total opens, I've never seen total opens fall with an increase in frequency. It's impossible. Doug: Well, at the end of the day, you need to move the sales dial. Clearly, that approach, if you're not producing like you said, good quality content … So if you're doing good quality content, to your point earlier, once a month, don't go to twice a week and send out really crappy content. Dela Quist: Yes. I also want to go back to that point about open rates. They probably had made their open rates drop to about 2 or 3% or 4% or whatever it was, but they're not sending daily. So they've got 300 opportunities at 2% of their list. Before, what were they doing? Once a week? So they had 50 opportunities, and each time they did that, 8 or 10% of their list. Net-net, it's very, very hard to get incrementally fewer people because it would mean that the last email you sent got negative opens. That's impossible. And I've never seen an email go out that not one person opened. Never. Unless it went out to like five people or 10 people or a hundred people. Right? Dela Quist: But if you send out to a million, or 10,000, or 100,000, whatever it is, you're going to get one open, and that's an incremental open that you wouldn't have had not counting the brand exposure. The other part of the content, and the other part of what maybe folks miss when they say, “Oh yeah, I saw these people blasting the hell out of their list and it wasn't a good idea,” is what you didn't see was the impact of the unopened emails. No one tested around that. No one went to find out what spontaneous brand recall was. Nobody went back to have a hold out group to see people who were not getting any emails and see whether they spent more or less than the folks who were getting an email every single day. Dela Quist: No one sat down and thought of a strategy, and we think a lot about subject lines, and we didn't talk about it, but I can send you a link which you can share with everybody to a whitepaper that we wrote, Zen and the Art of Subject Line Testing. But if you have one email a week, you've got 52 opportunities to sell a story about the length of a … in a tweet. If you send daily, you've got 365 opportunities to tell a story in tweet-sized chunks. So you tell the story. This is when I say or remind them of the message. Dela Quist: So if it was like Acme Insurance and you sent out a daily email that said, “Acme Insurance, home insurance for less. Acme Insurance, home insurance for less.” Then a bit of the subject line, “Acme Insurance, home insurance for less. We're great guys. Acme Insurance, home insurance for less. We give you this. Home insurance for less because of that.” If you say to someone, “Who are you going to go and get a quote from?” They'll say Acme and you say why. They say, “Because they do home insurance for less.” It's called advertising. If this was TV, you might tell them, “Oh, no, no. Make your commercial a bit better. It'll be more effective.” But you wouldn't say advertise less. You just would not say that. Doug: Right. Yeah. Fair comment. Dela Quist: So sorry to be contrarian, but that's the hard felt view that comes from advertising and marking taking into email and seeing your email marketing activity as creating your own direct-to-market channel that you don't pay anyone for. It's beautiful. Doug: Yeah. I mean, you don't pay to distribute it. But like you said, there is a cost of producing good quality content. Dela Quist: Yes. That's where the money should go. Doug: Yeah. So what are you most excited about in the next six to 12 months? I mean, you've got your finger on the pulse and we're seeing all sorts of topics around social, where social is going and restrictions, and where Google is going. We've got this conversation around AI for CRM and for advertising, and now for email. So what keeps you up at night. What are you most excited about? Dela Quist: I was going to say, “Don't ask me this question because, first of all …” I'm only kidding. [crosstalk 00:32:09] six to 12 months, I mean, what happens in six to 12 months? Nothing. Let me put it this way. If you'd said to someone in 2000, “Where do you see mobile in six to 12 months?” They couldn't have come close to predicting where we are with mobile, right? Smartphones and all of that. If you'd asked me three years ago, “Where do you think we'll be with anything?” I wouldn't have been able to predict where we are, and so I'm always very wary about predictions around technology. I much rather predict human behavior because human behavior in large quantities is very, very predictable. Dela Quist: Machines can't learn without testing, and as more AI comes, we're going to have to test more. My view is that we're going to burn out our lists purely testing. There aren't enough people in the world to be able to let all the machines learn, and so we built a tool called Touchstone which allows you to use your historical campaign data, or allow your algorithms to learn from historical data, or our algorithms to learn from historical data. So when you type in a subject line, it tells you whether that subject line is likely to perform well or not, and if so, how much above average or below average it will perform without actually having to send out an email to anybody. Doug: Oh, that's pretty sweet. Dela Quist: The tool's been out for a while, but the reason I'm saying in a six to 12 month framework is more and more platforms are coming out with machine learning kind of algorithms requiring people to test 10 or 15 variants of everything every single day, and so what I'm seeing is that the market is coming to a product we built a couple of years ago, so it's kind of like, “Thank God for that. Another five years and I'd be dead, and I wouldn't see anything.” I think that machine learning or machine testing has got to evolve in order to accommodate machine learning because there just aren't enough human beings in the world for all the AI to learn from. Doug: So you're saying you're taking, just to be clear, legacy data from marketers from previous campaigns and performing the analysis based on that data? Dela Quist: Correct, and here's the interesting thing is that the other thing that is so good about it is we don't use PII. We don't use any personally identifiable behavior or subscriber level behavior. We just use campaign behavior, which means we're GDPR-compliant, number one. And number two, I think that consumers are getting a bit uncomfortable about how we are using, or how people are using what they know about them to make them do stuff that they wouldn't ordinarily do. What I mean by that, you talk to most people with predictive machines or talking about relevance, they're selling it to consumers as, “Oh, we'll give you things that are relevant.” But what if things that are relevant to me are bad for me?” Right? Doug: Yeah. I was thinking we're going to get to this point where everything is going to be vanilla because it's going to be based on people's actions and inactions, and we're going to remove all the creativity and the opportunity because it makes people uncomfortable, so let's not show them something new. Let's just show them something that they already like and they'll buy more. Dela Quist: And the machine, because it's a machine, don't give a damn. What does it do? It keeps showing you kittens and donuts, and kittens and donuts, and kittens and donuts, and kittens and donuts, and you're buying donuts and donuts and donuts and donuts, and suddenly you're 300 pounds. Doug: Well, then that's where the insurance comes in. You can now sell them insurance and a gym membership. Dela Quist: Yeah, so now where we get to a place where we get them obese so that we can make more money out of them on a gym membership and insurance, da, da, da, da. I think that's a class action lawsuit waiting to happen, personally. But yeah, so the point that I'm trying to make is there are two things. What I'm predicting is that we're going to actually go back to broadcast thinking because the machines don't care. Worse than that, most people don't even know what their machines are doing. Google figured out that their language algorithms had actually created a new language that no one understands and no one knows. That's the way I read it, I heard it described because they realized that it wasn't … When it was translating from English to Hindu, or Hindu to French, it wasn't going directly. It was going through another medium, so it created a central language that was common to everything and it was translating via that, and no human being understands that. Doug: Oh, now you've given me something that'll keep me awake tonight. Thanks. Dela Quist: That's the worrying thing about letting algorithms loose on your customer base. The point I'm trying to make is that by sticking to campaign-level data, we will allow the machines to come up with insights that aren't based on harming a particular individual, so things like gender and race and location and neighborhood will be removed from the equation, and I think consumers will be more comfortable with algorithms that learn that way than algorithms that learn from very, very precise data points about them. Dela Quist: That's the challenge that we've got. It happens and it doesn't always feel comfortable, and I think that when you get to a certain age, you've seen the pendulum in business move backward and forwards several times. When I first started out, everybody was talking mainframes. Big, centralized computers. That was the big thing. Then we were pushed and said, “Oh, no. No. You need to decentralize,” and so they made many computers. And then microcomputers, and then the PC came out. Then suddenly they moved from desktop to client-server. Now, client-server is mainframe again, so all the experts pushed us all the way down from one big thing to everyone having their own individual. Then suddenly they started trying to bring everyone back together with the whole idea of client-server. Dela Quist: Then we've come back down to everyone having their own devices. Guess what? What do you think the cloud is? The cloud is mainframes all over again. I just think fashion and business models work in such a way, and by the way, this goes back to being a contrarian. As soon as everyone is doing something one way, someone's going to go, “What if we did it a different way?” What they don't think is, “Hang on. We've done this before,” because mostly these days, most people in business are 12. Most engineers are 12. I'm joking. Most marketers are 12. There's an obsession with, and that's why I didn't like your six to 12 month out question. Dela Quist: Six to 12 month out questions make people think, “I've got to know this. I've got to know that. Da, da, da.” And they make decisions that are not necessarily good for the long term but may be great for the short term. So I get this new skill in my job. I'll be able to get a higher salary. Or, “The company will be able to do this, but you know what? I won't be here to suffer the consequences when everybody's got that.” Or you move into a company and go, “Oh, this is all crap, but someone was really excited about that five years ago.” That's one of the things that concerns me about the way we do business is it's very short term-ist. Doug: Well, the reason I ask is because over the years, going to various conferences and meetings and such, and speaking to different groups, I've seen that lots of times the conferences that I go to, like the DMA, and I've talked to vendors on the floor, I would see stuff there that would take years before it would be to the mainstream marketing world. What I'm excited about in the next six months is something that I've maybe been looking at for several years, and that's just not even common knowledge to my peers or my clients. Dela Quist: And what would that be? Doug: I love the change in technology. I like the integration with using geo-fencing, multiple data points that are starting to tie people into some of the new CRM technology that's out there. Dela Quist: To what end? I'm asking these questions for a reason. To what end? Why are you excited? Doug: Because I like disruption. Dela Quist: I don't disagree with you. By the way, I'm being disruptive. Doug: You can disagree with me if you'd like. Dela Quist: No, no. No, no. That was a double negative. I think, in principle, I agree with you simply because I'm being disruptive. I think that what isn't being disruptive is we're using disruptive things to make more money, which is not disruptive at all. It's what we've always done. Doug: Well, not everybody. Some people do the vanilla stuff because they want to stay there. Dela Quist: True, but I think that the goal is to sell more stuff, my stuff to you. Okay, and my goal is to make sure it's my stuff and not my competitor's stuff. That's the goal of everybody, and so when I step back, I just see these as new ways of selling more stuff to people. That's the way I see it. Also, like you, I'm in the space. So the stuff that is new to most folks isn't new to me. I mean, AI and algorithms, to make predictions, we started doing that in 2010, so I guess it's not new to me. Dela Quist: What I'm talking about is what I think is coming, but most people will not be able to see where I'm at. I'm seeing through what you're seeing now, and I'm looking at it and going, “I know where this is going. We're going to hit a place where everyone's going to start coming backward and going to another place,” and I'm kind of preparing for that. That other place is somehow there will be, through legislative moves or just consumer backlash or something, clampdown on our ability to do the stuff that you're talking about, one way or another. Dela Quist: I'm thinking about the stage after that. Doug: I'm just looking at the fact that I still get emails where people can't put my name on them. If you can't do the basics, like include some of my data that you've got, there's obviously a lot of opportunities for them to increase their response and have better engagement doing the simple stuff. Dela Quist: Name a big brand that did that. Can you think of a big brand that's done that recently, or just generically? You mean if somebody like, I don't know, Under Armour, right? If Under Armour misspelled your name or got it wrong in an email, what would happen? Dela Quist: Okay, that's interesting. Two things. I always wonder why people did things, and I don't assume they're being stupid. I think they're being clever, and maybe that's the thing. I always assume people are clever. I don't think they're stupid. So here are two things about that that I find quite interesting. First of all, are you going to throw away your Fitbit and start using the tracker? Dela Quist: No. Okay, so who cares? That's the first thing. The second thing is Fitbit is in exactly the place that we were just discussing. They know where you are. They know what you do. They're monitoring your heart rate. They are exactly the sort of company that will be in the crosshairs of any legislation or consumer backlash. Have you ever thought that they've decided it's not a good idea to do that, and they would rather one or two experts yell about that than actually run the risk of a class action lawsuit based on the fact that everyone is treating them like Facebook and hating them? That's the big question you should ask. Doug: Yeah. I like them. I like their brand, but in terms of me buying their new offer, no. But you're right. I mean, the next question is when are the insurance companies going to have access to the Fitbit data when they're doing an evaluation. Dela Quist: I suspect you didn't buy the offer because either you didn't have the money or your wife already has, or you've got a better gift for her. I really don't think it's because they sent one image that you didn't like because otherwise, spam wouldn't work. Spam works because they just happen to put something you wanted in front of you. Doug: That's what I tell people. If you don't like spam, then quit buying stuff from the spammers and they'll quit sending it. Dela Quist: Yes, and also quit buying stuff off TV because all of those ads aren't targeting particularly, or they didn't use to be. I guess what I'm saying, and I think the Fitbit example is a really interesting one because what I'm seeing, and here's what I remember, this is another case study, Tesco, larger supermarket in the UK, I don't know if you're familiar with them. Dela Quist: That's why I'm contrarian about this. Do you get what I mean? I had a very, very early insight from a client who gave me a viewpoint six years ago that's made me look at where we've been going and going, “This can't continue.” Sure, I may have missed tens of thousands or hundreds of thousands of dollars by not investing in companies that do this kind of targeting in the meantime, but the bottom line is a backlash has to occur and we're getting close to it. Dela Quist: I think what's happened with social media at the moment is probably an indication that the tide may be turning. I may be wrong and they may fix it and go on a bit longer, but it's something to think about. That's what I mean going back to which experts do you follow and all of that sort of stuff. I tend to listen outside of my own space because I think you hear the most interesting things there. And so that's why when you told me your Fitbit story I'm like, “Aha, ha, ha. I know where they're going.” They're in exactly the space that they shouldn't be doing that, which is fitness, health, they know your heartbeat. Right? Doug: Yeah. Yeah. They know how often I use it. Dela Quist: They know whether you exercise. Doug: Right. I mean, look at that. They've got a product that they like you said, they send me an email, but beyond the email, they know my daily habits. Dela Quist: Yeah, and would you like the idea that maybe insurance companies had access to that, for example? Doug: Well, actually, I don't mind now. Five or six years ago, I wouldn't have wanted that. Doug: I get a better rating now than I would've got them. Dela Quist: Yeah, and those are the kinds of things that keep me up at night. They worry me because, on the one hand, I've got to help clients sell stuff and lots of it. On the other hand, I know that they push me towards this hyper-personalization and hyper-targeting and hyper-segmentation. I can deliver that all day long. I can deliver that. Within reason, I can tell you who will open the next email. But the next thing is, “Okay, knowing that's one thing. What should you say to them?” That's the only place where the debate happens with me. I know who. The question is what? That's where I can help them see beyond where they are today into a future where they have a really good mix of broadcast and targeted, so it's not so obvious and intrusive. We're used to broadcasting. We're okay with a broadcast. We like some personalization, not too much. But if everything was personalized, to your point, we end up with gray. Okay? Everyone. Doug: Gets the same. Yeah. Dela Quist: Nothing new. It's all the same. Doug: Okay, so time to shift gears. Where can people find you? Where's the best place for our listeners to say, “Hey, I need to explore what Dela is saying more. This is a different view. I need to reconsider my strategy for my email,” so where do they track you down? Dela Quist: Hoping that they do, because as I say, I've said a lot of controversial stuff and I think a lot of people will disagree with me, but that's okay. Those who want to find me, the best way is LinkedIn. I've got a very unusual name, Dela Quist, D-E-L-A and Q-U-I-S-T. I'm very findable on LinkedIn and Googling me is equally easy. Once you do that, I'm very contactable because I've been around so long that all my personal details are all over the web. Dela Quist: My email address, even my phone number isn't particularly difficult to find, so yeah. LinkedIn is a good place to start. If you're not connected to me or you're too far away just in the invite, just say, “I heard the podcast,” and I will add you and we can connect. Doug: Cool. Well, thanks so much. I appreciate you taking your time and I've enjoyed reading and following you online over the last years when I first met you, I guess, through the only email influencers or whatever the group's called that we're in. Doug: And so it's always been good. Dela Quist: No, and I enjoyed being connected with you and following you as well. I like what you do. In fact, I'm now going to be listening to a lot more of your podcast that I have done historically, and hopefully, I haven't made you not want to follow me anymore. Doug: I mean, because you can't advertise on Facebook and LinkedIn and Twitter anymore, or Instagram. It's just not an option, so what is your choice? Are you going to go back to banner ads or look at sponsored, dedicated email where people have signed up and they're going to get a relevant offer and there's not those sort of restrictions? Dela Quist: That's absolutely right. The other thing that they will have is that everyone on their list will be someone who's agreed to speak about the subject and receive information about the subject, which is such a good place to be, especially in those spaces when there's an uncertainty about, A, laws in different areas but also just being seen to be intrusive in ways, and that tends not to happen in email. 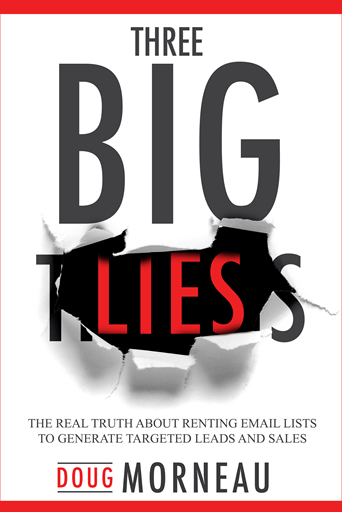 Dela Quist: The other thing that I was going to say is the article that I just wrote that you referred to, which is why CMOs tend to underestimate email, it's because it's so big, and it's so big that it's hard to visualize. One thing is that everybody that they want to reach has an email address. If they can find good ways of getting them onto the list, giving them content that's worth having, spending some money on the quality of the output they can send at a frequency that will probably make them money and that will be pretty good for them. Doug: Well, I think that's probably, for me, the biggest takeaway for our listeners today for people that are afraid to mail their list, they can increase their frequency. Dela Quist: And #DBS, do be smart and don't be stupid. Doug: There we go. So thanks, listeners, for tuning in. I hope you found this interview and this conversation provocative and I hope it got you thinking into maybe some different directions on how you can grow your business and how you can have a better engagement with your client, so I want to thank again to Dela for taking time and don't be shy to sign up for our email newsletter, and I'll introduce you to more guests like Dela. So thanks again, look forward to serving you on our next episode.